New Delhi: Indian boxing legend M.C. 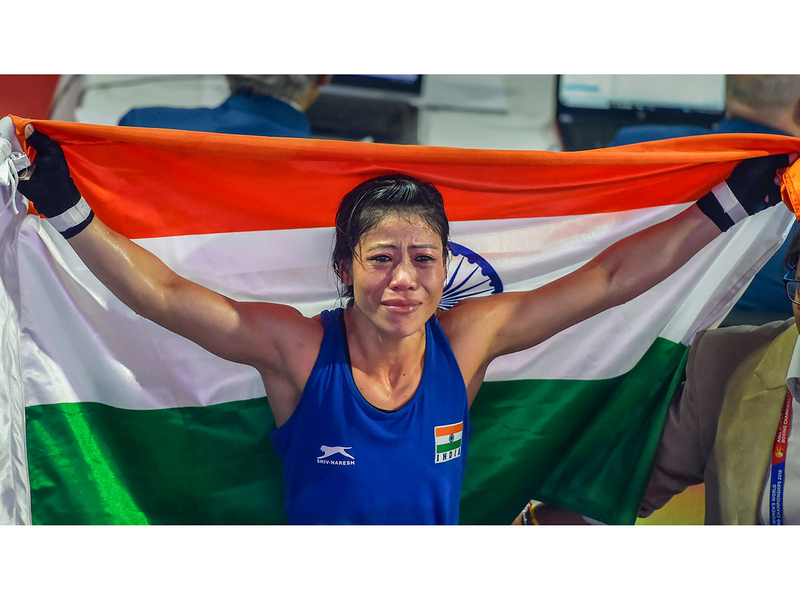 Mary Kom scripted history by clinching a record sixth World Championship Gold medal in the light flyweight 48 kilogram category after outclassing Ukraine's Hanna Okhota 5:0 at the K.D. Jadhav Indoor Stadium here on Saturday. The 35-year-old Kom, a mother of three and a pre-tournament favourite for the gold, rewrote the record books when she eclipsed her joint haul of five golds with Katie Taylor of Ireland. 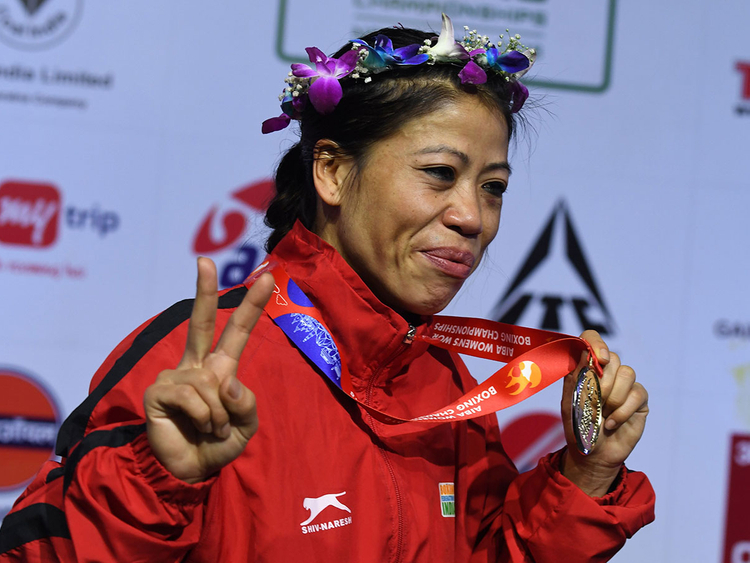 The Manipuri pugilist, who went over her weight category to clinch a 51kg bronze at the London Olympics, previously clinched the World Championship gold on five occasions -- 2002, 2005, 2006, 2008, 2010 -- besides bagging a silver on her debut in 2001. Living up to the reputation, Kom started the opening round aggressively and landed a couple of right jabs quite early into the round before taking full control with a right-two punch combination to Hanna. However, towards the end of the first round, the Ukrainian managed to get a shot at Kom's face before the Indian wrestled Okhota to the ground. Kom appeared unshakable throughout and ended the round with a few jabs and a right-hand, left-hand combo. A left-handed flick from Okhota pushed Kom backwards but towards the end of the round, the Indian delivered a perfect right hook to inch closer to another gold. The third and decisive round began with the Manipuri pugilist delivering a right-handed jab, and adding it up with a right-hand, left-hand combo that completely demotivated Okhota. Kom then sealed the gold in her favour with another combination of punches, and a few shots at Okhota's face, leading the crowd to erupt in joy when the referees announced the unanimous 5:0 verdict in the Indian's favour.